This Jenny Wren Tomahawk model is outfitted with black G-10 handle scales and a Tungsten Cerakote finished head. 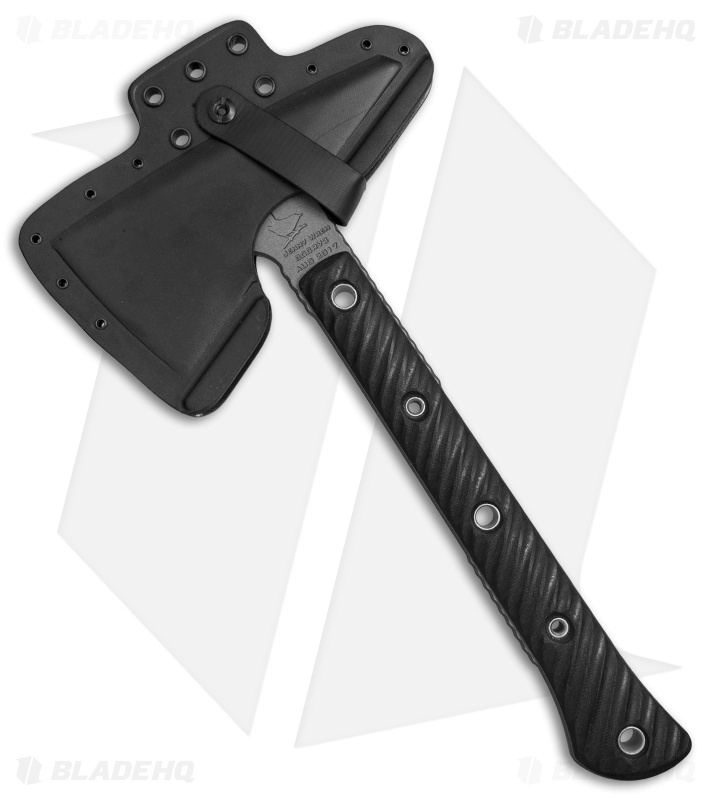 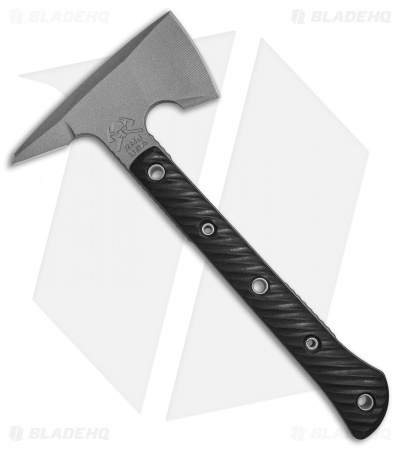 The Jenny Wren Tomahawk was designed to be ultra-lightweight for light breaching and close quarters combat. It has a full-tang I-Beam handle design with 3D machined G-10 scales for a secure, positive grip. Deferentially heat treated steel throughout the handle and blade ensures a solid, durable build that will stand the test of time. 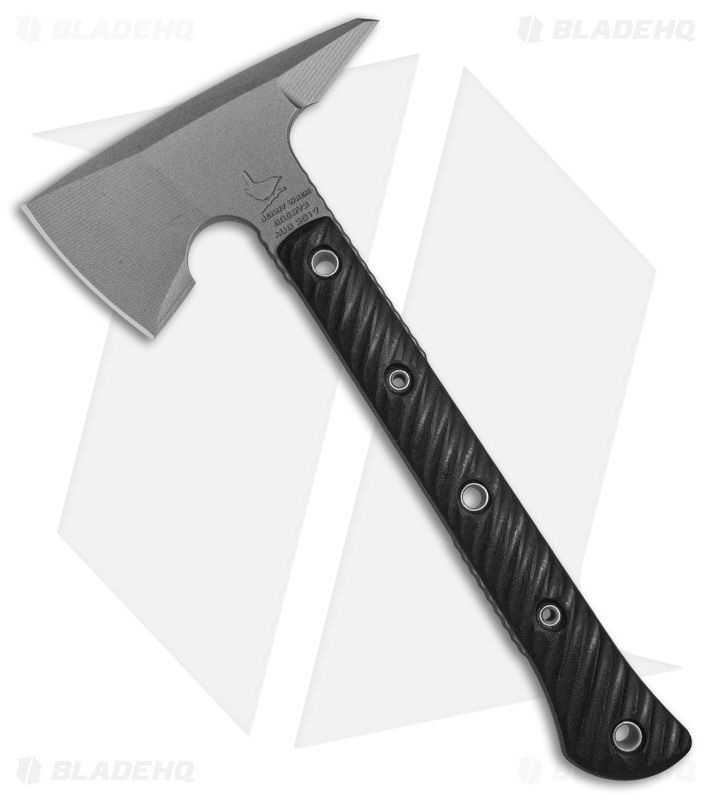 Single piece construction made from a 1/4" oversized billet of machined 80CRV2 steel for extreme strength and hardness. 4 sharp cutting edges for managing a versatile range of cutting tasks.